It’s time that companies took advantage of this untapped pool of qualified board candidates. It’s time that we increased the number of women who serve on corporate boards. Boardroom Ready is Executive Women In Bio’s exclusive executive development platform, designed to fuel women’s participation on corporate boards in the life sciences. Initially developed within industry by Biogen, WIB’s Boardroom Ready is uniquely positioned to prepare exceptionally qualified women for board service through its targeted curriculum and comprehensive approach. The platform is grounded in an intensive, in-person program that highlights the challenges specific to governing life sciences corporations through case study analysis. Further, it offers networking, ongoing programming focused on current industry issues, and development opportunities to give participants every advantage in achieving their goal of board service. § Open to only twenty candidates per year in order to foster robust discussions, maintain strong connections, and foster a high level of individual participation. Note: The deadline to apply to the Boardroom Ready 2019 class has passed. Please check back in November of 2019 if you are interested in applying for the 2020 class. Applicants will be expected to attend and fully participate in both sessions. While in attendance, it is understood that the participant will be free of other duties and will not leave except in emergency situations. Please arrange your schedule accordingly. Outreach efforts and networking events will be held throughout the year in cities around the country. Boardroom Ready participants are strongly encouraged to attend a once yearly alumnae retreat. Please note: Boardroom Ready participants are responsible for their own travel and lodging expenses to attend Boardroom Ready events, including the board certification course at George Washington University. Participants will be responsible for arranging their travel and accommodations independently. WIB’s Boardroom Ready platform is looking for financial sponsors to support and maintain this initiative. Sponsorship packages can be found here. WIB is seeking Boardroom Mentors from the life sciences industry to serve as one-on-one coaches and sponsors for a matched Boardroom Ready candidate. Boardroom Mentors play an important role in the program, offering guidance, encouragement, and experience-based strategies for networking, interviewing, and assessing the fit of a potential board seat. Mentors must have experience serving on a corporate board as well as enthusiasm for the Boardroom Ready program. 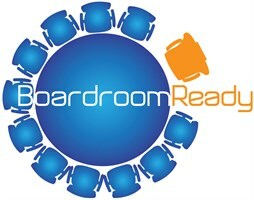 For more information about how to become a Boardroom Mentor, please email boardroomready@womeninbio.org.